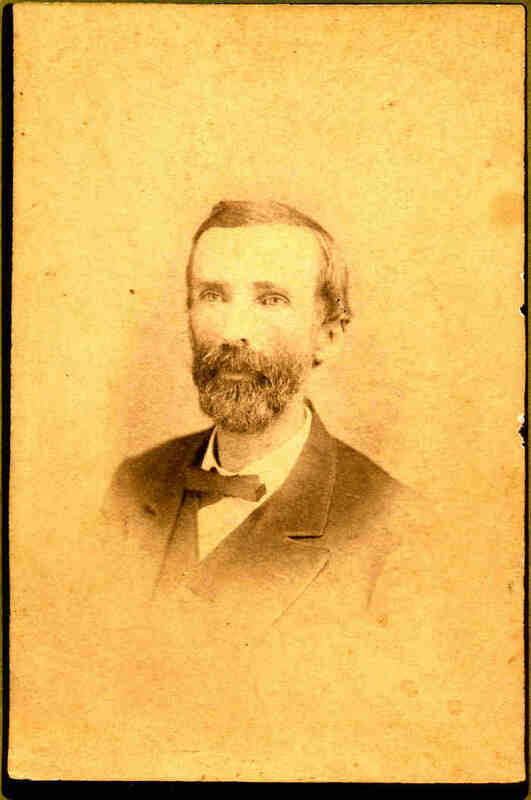 In the Federal Census of 1880, Joseph Hitch is indicated in Laurens County, South Carolina (sheet 20) in a household as follows: - Joseph Hitch, age 32, born in SC - Mary Hitch, age 27, born in SC - Young Hitch, age 8, born in SC - Nannie Hitch, age 2, born in SC - Babe Hitch, age 3 months, born in SC - Lucian Hitch, age 26, born in SC. In the Federal Census of 1910, John J. Hitch is indicated in Greenville County, South Carolina in a household as follows: - John J. Hitch, age 62, born in SC - Margaret J. Hitch, age 56, born in SC. From an undated (prob. about June 5, 1915) South Carolina newspaper clipping sent to me by Michael Givens, a descendant, of Beaufort, SC, there is the obituary of J.J. Hitch. It states: "J.J. Hitch died at 4 o'clock Monday afternoon, after a long illness. He was 68 years of age. Mr. Hitch was born 5 miles northeast of Fountain Inn, and had lived his life in this neighborhood. He was one of those few men of whom it may truthfully be said: 'Everybody loved or respected him.' He had long been referred to as one of the best men in the country. The funeral service was held at the residence at 2 o'clock, conducted by Dr. J.D. Pitts. The deacons of the Baptist church were pall bearers. Mr. Hitch is survived by his widow, who was formerly a Miss Garrett, and by four children: Dr. Y.M. Hitch of Hodges, Mrs. J.W. Givens, Mrs. S.C. Fulmer and Mrs. D.E. West, the latter of widow. During the war between the sections, Mr. Hitch offered his services but was refused. he weighed only 65 pounds." 2 Bible Records of A.L. Hitch of Laurens Co., SC (Image copies provided by Elinor Mowbray of Fountain Inn, SC), Full name as noted in the Bible records. 3 Greenville Co., SC Cemetery Records (DAR). 4 1910 SC Census, Listed as age 62 in the 1910 Greenville Co., SC Census. 5 1880 SC Census, Listed as Joseph Hitch, age 32, in the 1880 Laurens Co., SC Census, born in SC. 6 1870 SC Census, Listed as Joseph Hitch, age 22 and a farm laborer, in the 1870 Laurens Co., SC Census, born in SC. 7 1860 SC Census, Listed as Joseph H. Hitch, age 12, in the 1860 Laurens Co., SC Census, born in SC. 8 1850 SC Census, Listed as Joseph Hitch, age 2, in the 1850 Laurens Co., SC Census, born in SC. 10 Bible Records of A.L. Hitch of Laurens Co., SC (Image copies provided by Elinor Mowbray of Fountain Inn, SC). 11 1910 SC Census, Listed as age 56 in the 1910 Greenville Co., SC Census. 12 1880 SC Census, Listed as age 27 in the 1880 Laurens Co., SC Census, born in SC. 13 1870 SC Census, Listed as age 20 in the 1870 Laurens Co., SC Census, born in SC. She is in the household of her mother-in-law, Mary A. Hitch. 14 1920 SC Census, Listed as age 69 in the 1920 Greenville Co., SC Census, born in SC. 15 1860 SC Census, Listed as age 9 in Laurens Co.
16 1930 SC Census, Listed as age 79 in Fountain Inn, Greenville Co.